Marilyn Chin is available for readings, craft talks, and workshops on poetry, fiction, and translation. Thank you for your interest in Marilyn Chin! Marilyn Chin was born in Hong Kong and raised in Portland, Oregon. Her books have become Asian American classics and are taught in classrooms internationally. She is presently celebrating the launch of her new book A Portrait of the Self as Nation: New and Selected Poems (W.W. Norton, 2018). Marilyn Chin’s other books of poems include Hard Love Province, Rhapsody in Plain Yellow, Dwarf Bamboo, and The Phoenix Gone, The Terrace Empty. 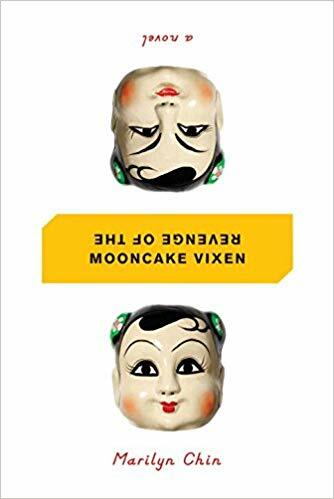 Her book of wild girl fiction is called Revenge of the Mooncake Vixen. She has won numerous awards, including the Anisfield-Wolf Book Award, the United States Artist Foundation Award, the Radcliffe Institute Fellowship at Harvard, the Rockefeller Foundation Fellowship at Bellagio, two NEAs, the Stegner Fellowship, the PEN/Josephine Miles Award, five Pushcart Prizes, a Fulbright Fellowship to Taiwan, a Lannan Residency and others. She is featured in a variety of important anthologies, including The Norton Anthology of Literature by Women, The Norton Anthology of Modern and Contemporary Poetry, The Penguin Anthology of 20th Century Poetry, and The Best American Poetry. She was featured in Bill Moyers’s PBS series The Language of Life, and Poetry Everywhere, introduced by Garrison Keillor. She has read and taught workshops all over the world. She has been Professor at San Diego State University for over 20 years and recently, she was guest poet at universities in Beijing, Shanghai, Singapore, Hong Kong, Manchester, Sydney and Berlin, Iowa and elsewhere. In addition to writing poetry and fiction, she has translated poems by the modern Chinese poet Ai Qing, Ho Xuan Huong and co-translated poems by the Japanese poet Gozo Yoshimasu. Presently, she is Professor Emerita at San Diego State University and serves as a Chancellor of the Academy of American Poets. Sign up to receive news and updates. Jack Jones sends twelve email updates each year. Never more.